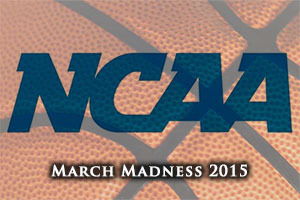 We are down to the final 16 teams, the Sweet 16 of March Madness, and it has been a strong tournament so far. The top dogs Kentucky have looked every bit as impressive as their record and as of yet, they have shown no sign of failing and very few weaknesses. This will please the punters who have piled on Kentucky with their March Madness betting but they are not the only team who have looked strong so far. Arizona have looked decent, Duke has been able to cruise against lesser opponents, Gonzaga have impressed a few fans and North Carolina and Wisconsin have also been in good form. UCLA have been a surprise package, Xavier have been pretty robust, Virginia and Villanova have suffered shockers and Louisville have even surprised their coach with have far they have gone. Are Notre Dame the next team to be shocked? Notre Dame haven’t been too impressive in their victories and it could be that they are facing a big shock against Wichita. When you think that Wichita were fairly impressive in defeating Kansas, it may not be the biggest shock if they do pull off something of note in their next game. When it comes to players who have impressed so far, it is great to see Jahil Okafor of Duke perform so well. The player is tipped to be the first or second pick in the NBA draft, and there has been a great deal of pressure on him. Seeing him handle this pressure, delivering 47 points in just two games, has been pleasing and there will be plenty of people keeping an eye out for him in the next game and maybe even beyond. You can also guarantee that there will be plenty of people backing the player with their NCAA bets, so you can expect to see a good deal of focus on this player. Kyle Wiltjer from Gonzaga has also been performing well and he has managed to grab 47 points in his two games as well. One player who has been very strong in different areas has been Fred VanVleet who plays for Wichita State. When you have a player who can score, assist, steal and deliver rebounds, you have a strong chance of making a dent in the tournament. Other players who have grabbed the attention include TJ McConnell from Arizona and Pat Connaughton from Notre Dame. A game saving block, against Butler, is always going to grab attention, and when you add in the fact that he picked up 9 rebounds in the same game, Connaughton is clearly a big player for his side. One player who has lit up the tournament so far has been Joseph Young from Oregon. He has grabbed 57 points so far but given that Oregon are now out of the tournament, the floor is open for someone to step in and score more points than Young. He has impressed greatly in the two games though and he is a player that plenty of people will be keeping an eye on from here on in. It won’t be too long until the March Madness action starts again but most coaches and players will be glad of the chance to take a break and catch their breath. This is an ideal team to examine your betting activity for the remainder of the tournament.